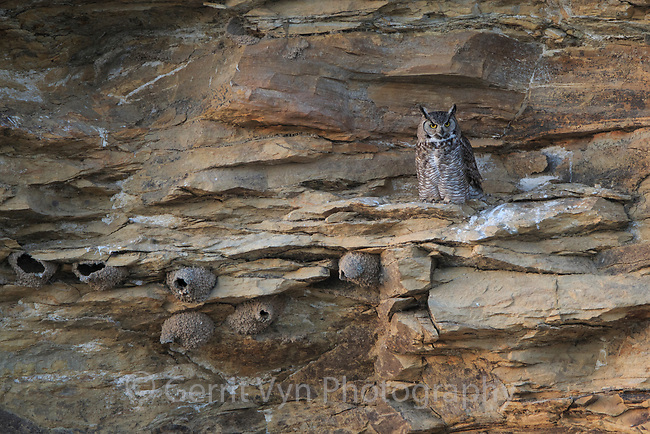 Adult female Great Horned Owl (Bubo virginianus) jsut after departing roost in early evening. Sublette County, Wyoming. June.